Are you a fan of Starbucks’s Pumpkin Spice Latte? You don’t need to go anywhere to enjoy this drink. You can make it in a matter of a few minutes in your own kitchen. Save time and money and treat yourself to one of the most delicious winter drinks. ix pumpkin and almond milk in a cup and cook in your microwave for 35-45 seconds. 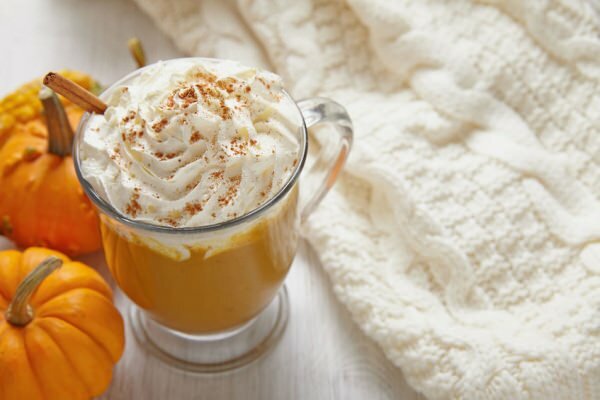 Add in pumpkin pie spice, vanilla extract, and stevia, and foam the milk using a frother or blender. Pour your coffee into a mug, add the foamy milk mixture and sprinkle with a little bit of cinnamon. Your skinny pumpkin spice latte is ready.